What if prices reflected the true costs of making the things we buy? To an economist, value is what you're willing to pay for an item. If you can get a snappy cotton or linen tee from a mass-market brand for under ten dollars, then why not? Consider the hidden costs of making that shirt. If the factory worker who stitched it got paid in pennies or the river behind the dyehouse runs a lovely shade of neon the next day, does it still seem like a good deal? Until I started working in the fashion industry, I had no idea what the clothes in my closet were worth. I knew what I paid for them, of course, but not why they cost what they did. I'd have been hard pressed to explain the two–or three or four–digits after the dollar sign. There are perfectly logical reasons to be confused about price. On average, clothes cost less today than they did 20 years ago, according to the Bureau of Labor Statistics. 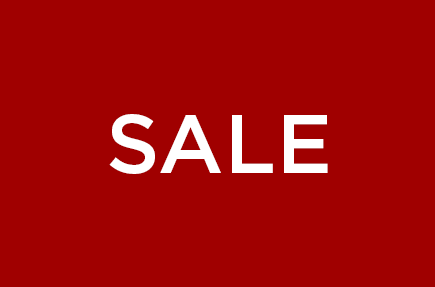 And even though we fill our closets with more new purchases each year than we used to, the Department of Commerce finds that all those outfits add up to a smaller portion of our total household expenditures. Not surprisingly, the race toward bottom dollar-led by discount retailers- has been fueled by inferior materials and construction. "This trend toward 'value' (often a thinly disguised euphemism for cheap) gave discounters...a substantial edge over traditional stores, where product quality and service were integral to the business model," Ellen Ruppel Shell writes in Cheap: The High Cost of Discount Culture. That "edge" cuts through the rest of the industry, putting pressure on traditional retailers to stay competitive. And even when we do pay more, we don't always get what we bargained for, as fashion journalist Dana Thomas lays bare in Deluxe: How Luxury Lost Its Luster. "Luxury companies funded the expansion of their reach by listing themselves on the world's stock exchanges," she says. As with all big business, this subjects brands to insatiable stockholder demand for profits. "To meet those profit forecasts, the luxury companies have cut corners." Key to said success? Inferior materials and construction-and higher prices. So we're experiencing sacrifices in quality at both ends of the spectrum. The upshot? We don't trust price tags, big or small. Consumers feel that "prices are unfairly high," says Lisa Bolton, a professor of marketing at Penn State, in Cheap. "People really believe they are being ripped off." In such freighted context, i't's no wonder that values-how we treat the people who make our clothes and the resources that are used to produce them-tend to get lost. It doesn't help that clothing is a complex industry with a long and distant supply chain made up of garment factories, dyehouses, fabric mills, notions makers, yarn spinners and farmers-all of which is invisible to the average customer. And as I've learned during my time at EILEEN FISHER, some of these links are invisible even to those on the inside. A brand may know its garment manufacturers quite well, but it's a different story a few rungs down the supply chain. Try figuring out exactly where your cotton comes from if you don't have a direct relationship with the grower. It's this complexity that causes most shoppers to underestimate clothing's true worth-we simply can't see the cost to the environment or to the garment worker or to the farmer. "We allow these costs of doing business as usual as if they were acceptable and we lived in a world of infinite resources, as if the costs to third parties don't matter because they don't belong to us," says economist Pavan Sukhdev, who leads the charge for companies to put natural capital on the balance sheet with a book called Corporation 2020: Transforming Business for Tomorrow's World. "If I make a shirt and you buy it, and I make a profit and you wear it, then we're both happy. The fact that some villager in India or Africa experienced scarcity as a result? The cost of that shirt is owned by someone-just not by you or me in today's economic system." Companies haven't yet had to account for the social and environmental costs of doing business, but he insists things must change-before the planet calls in its loan. PUMA has taken a stab at tallying what it owes the planet: $187 million and counting. In 2011, it published that debt in an Environmental Profit and Loss Account that calculated the total impact of its greenhouse gas emissions, water and land use, air pollution and waste with help from auditing firm PricewaterhouseCoopers and data consultancy Trucost. When it comes to how its products are produced, PUMA pegs the environmental costs of making a conventional cotton T-shirt at 31 percent higher than a biodegradable InCycle tee. What PUMA's numbers don't show is that environmental materials and processes tend to cost more-as much as 20 percent more-and can be challenging to implement. Before witnessing how these things play out from my perch inside EILEEN FISHER, I would have assumed the solution was as simple as making better choices. Case in point: Linen Jersey, which became bluesign® certified and organic in 2013. After launching bluesign®certified silks in spring 2012 (a feat three years in the making), EILEEN FISHER wanted to grow its bluesign® offerings. But just as the bluesign® program had officially gotten off the ground, customer demand for silk declined. "In order to support the dyehouse that made this investment, we should be producing more silk," says Susan Young, Vice President of Global Sourcing. "But we're a design-driven company and we're focused on what the customer wants, so there's always that dichotomy." EILEEN FISHER had already approached the existing Linen Jersey dyehouse about the bluesign® standard. "They didn't want anything to do with it," Susan recalls. She wondered if the silk dyehouse, a specialist with years of experience, might be able to take it on. "It took about six months of working with the silk dyehouse to study their equipment and space and to figure out if their staff would need different skills," Susan says. In the end, the dyehouse purchased some new dyes, along with two machines for drying and curing the linen, a process not used for silk. Organic Linen Jersey now costs EILEEN FISHER more than it used to: In 2013, the fabric mill charged 50 cents extra per yard for bluesign® approved chemicals, and organic linen ran roughly 15 percent higher than its conventional counterpart. Some of those costs are assumed by EILEEN FISHER and some by the vendor. "We have an ethical sense of how much we can expect our vendor to absorb," Susan says. "They balance the numbers out over the course of a whole season or a whole year-it's never about the cost of just one style." But that approach only works with long-term partnerships. "You can't walk into a factory and have that kind of relationship," Susan says. "It's the product of years of negotiating to create well-being for both entities." The customer has also seen an increase in price. "That doesn't cover the cost increase for EILEEN FISHER, but it softens the blow," Susan says. 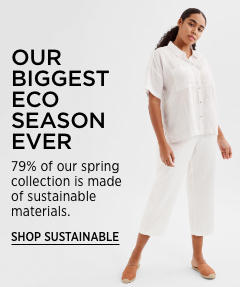 The fact that the company would make less on each Organic Linen Jersey garment it sells was certainly cause for discussion, but continuing to make environmental improvements to the line is a company priority. "We hope the customer sees the benefits of organic," she says. It's much harder to put numbers to the social side of the supply chain. "Social impacts aren't inherently any less quantifiable than environmental impacts, they're simply very diverse," says Kevin Kromash, former Program Manager of Sukhdev's Corporation 2020 initiative at Yale. How, for instance, do you measure workers' ability to address bad management practices and negotiate the terms of their employment? You can, he points out, ask questions like "What percentage of employees are trained in anti-corruption policies?" and "What percentage of employees are covered by collective bargaining agreements?" As Kromash says, "The challenge is how to combine that information into something useful." But take the obvious, wages. One good way for brands to ensure garment workers don't get squeezed: Don't chase the cheapest contracts by jumping from one factory to the next to produce each new style. In that scenario, factories are forced to underbid each other, and pay inevitably takes a hit. 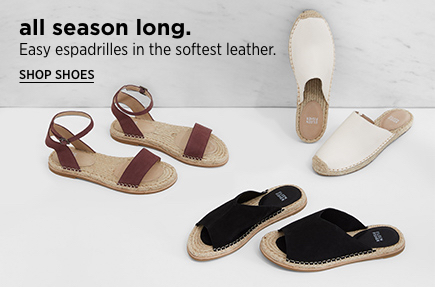 Instead, EILEEN FISHER forges long-term relationships with its manufacturers. The brand has worked with Ho Fai, the SA8000-certified factory in Shenzhen, China, for more than 15 years. 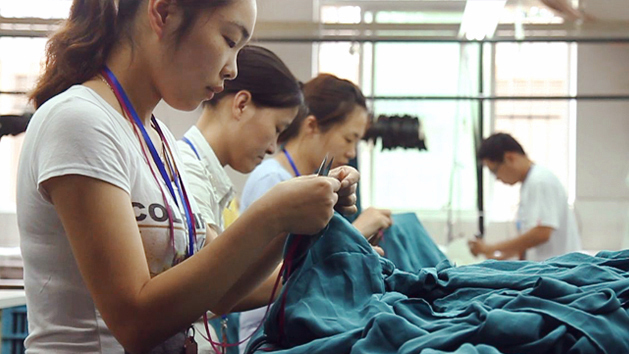 A garment worker there makes, on average, $408 a month, 56 percent more than Shenzhen's minimum wage of $261 a month. Enduring partnerships like this give EILEEN FISHER the leverage to engage factories around human rights through on-site training programs that provide workers with the knowledge and tools to protect themselves. Still, Amy Hall, Director of Social Consciousness, wants more. "Some of our manufacturers go back 20 years," Amy says. "That makes it easier for them to understand what our expectations are. But when those factories are used to doing things a certain way, change can be slower than we'd like. Historically, we haven't sourced that many new suppliers. Now when we do, we define our expectations from the outset." 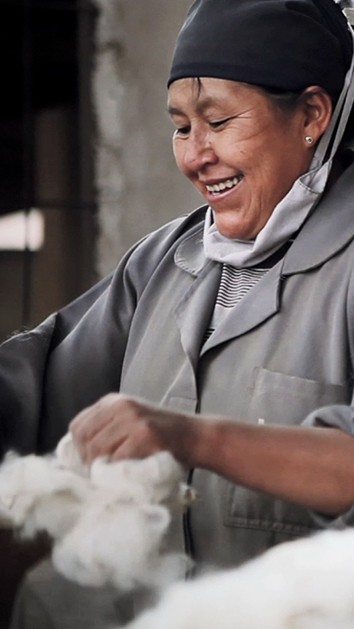 When it comes to relationships built on values, the Peru Project, based on fair trade principles, is currently the high-water mark for EILEEN FISHER. Sourced through the pioneering supplier Indigenous Designs, the Peru Project features a network of community knitting workshops and organic cotton farmers. The knitters receive higher wages—at least 41 percent more, not including overtime—than the national minimum of $242 per month; they're also provided with training, equipment loans and a steady stream of work. A 2013 cell phone survey intended to capture whether or not artisans in the network are moving out of poverty showed that 76 percent own refrigerators, up from 42 percent in 2011. "Having a refrigerator might not seem like a huge poverty indicator, but it really is," says Scott Leonard, who cofounded Indigenous Designs. "It confirms that they have electricity, that they are able to purchase and transport a big ticket item, and that they are thinking about meal planning." 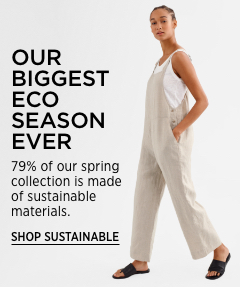 On average, EILEEN FISHER pays about 10 percent more with the Peru Project than the rest of the line, both because of the cost of doing fair trade and because the price for our Peruvian organic cotton is higher than the global average. "If we charged what we actually needed to charge for the Peru sweaters, customers might not buy them, so we accept making less, because we're investing in our beliefs," Susan says. 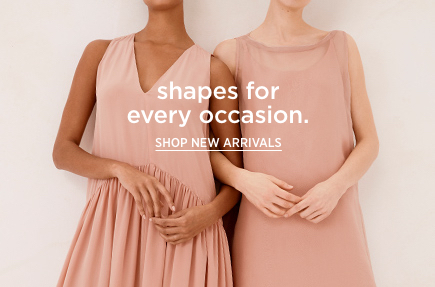 Not all values-related expenses show up in EILEEN FISHER's manufacturing costs. "When we think about how profitable an item is, we don't really factor in how much money we invest in human rights and environmental work," says EILEEN FISHER Human Rights Leader Luna Lee. "We calculate the material and shipping costs, but the cost of the work we do in high-risk countries, that's not in the margin." I arrived at EILEEN FISHER at a critical moment, globally speaking. The headlines were devastating: back-to-back garment factory fires in Bangladesh and Pakistan, swiftly followed by the horrific Rana Plaza building collapse in 2013 that killed more than 1,100 Bangladeshis, mainly garment workers. And during the course of my research for this story, levels of carbon dioxide in the earth's atmosphere hovered around 400 parts per million, an amount some scientists fear marks a tipping point for global warming. 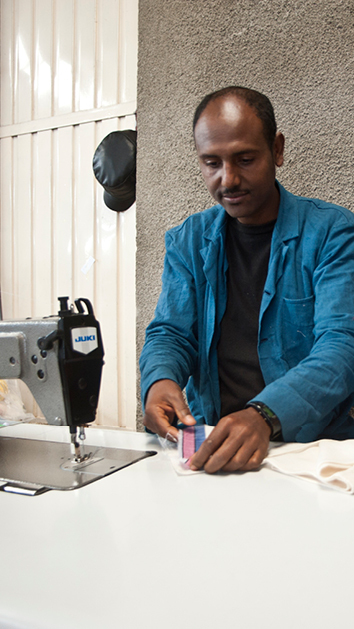 I've come to see the cost of clothing differently: It's more than just dollars and cents. "Price is a number, but properly decoded, it is no abstraction," Ellen Ruppel Shell writes in Cheap. "Price tells us volumes about marketing strategies, government policies and even variations in the growing season. Economic realities, such as the efficiency of workers and factories are all reflected in price. Social and political realities, such as environmental degradation and human rights violations, are reflected as well." The more I know, the more I'm willing to invest in better alternatives. Eventually, I might even begin to see clothes the way EILEEN FISHER Sustainability Leader Shona Quinn does. "When I look around in a retail store, I don't actually see the clothes," she says. "I see the fields of sheep and the cotton and flax fields and the water and chemicals that go into making those clothes. There are so many pieces of the natural world and of our human systems that go into them, and we're thinking about all of those things."